Nearly everyone carries a mobile device or smart phone, and those that do want to do everything they can from it to make their lives as easy as possible. 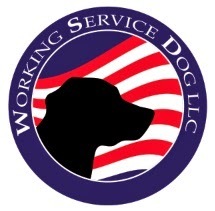 WorkingServiceDog.com was the first website that began to offer its customers digital access to their ID card so they can show their identification more easily with something they are already carrying. "Offering customers digital ID cards was a logical step for us," said Joe Vinci, workingservicedog.com director of website sales. "The PVC ID cards are great to carry and show when needed, but our customers wanted a way to also carry their ID cards from their smartphones”. Don’t worry if you are stuck in a remote area with bad cellphone service? Our Digital ID cards are saved on your smartphone as a photo so it is always accessible. 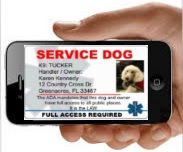 All of our ID cards layouts including Service Dog, Service Dog Handler and Emotional Support Animal are available with an option to receive a digital ID copy. So if you are ready to go digital, add one to your ID Card order and give it a try.